FORS is designed to support vulnerable road users by developing standards for construction logistics. FORS is a voluntary national accreditation scheme designed to help fleet operators improve and monitor operational performance and safety. The scheme encompasses all aspects of safety, fuel efficiency, vehicle emissions and improved operations. 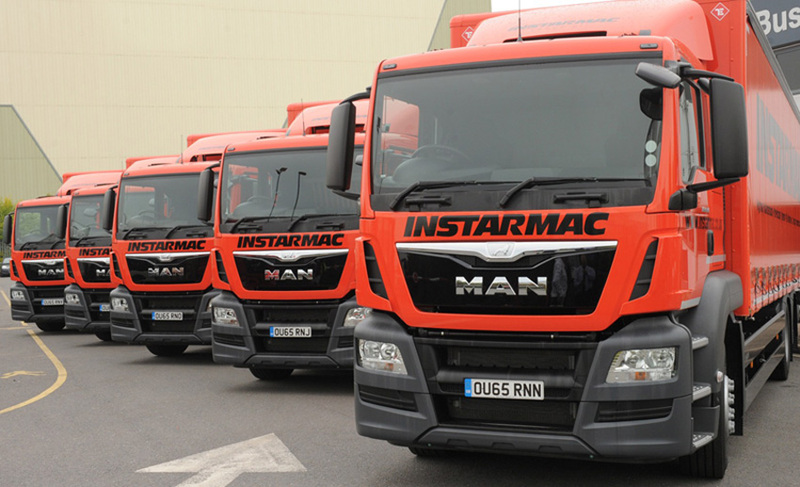 Instarmac run an award winning fleet of 37 delivery vehicles including a 40ft arctic. Many Instarmac customers require their suppliers to be FORS Silver accredited to reduce accidents involving vulnerable road users. FORS Silver also meets the requirements of TfL’s Work Related Road Risk requirements (WRRR). Andy Ryan Logistics Manager commented ‘we are extremely proud of our FORS Silver award. At Instarmac we strive to provide the most up-to-date logistics technology and efficiency procedures. FORS Silver required modifications to our vehicles such as side under run protection and close proximity sensors to notify the driver of vulnerable road users. We also monitor CO2 emissions with the aim to reduce environmental impact and drive efficiencies. Our customers can be assured we are committed to continual improvement and which in turn makes us safer, smarter and greener’. Instarmac are always looking at ways to improve their initiatives and policies. The 37-strong transport fleet is managed in-house and investments in live tracking technology, text notification software and tail lifts on all vehicles means the customer receives a first class service which is operating to the highest efficiency and safety standards.